Callwork: Are you a Gamer? Callwork will be in Gamer vs. Gamer event this Saturday, Aug. 14 from 3pm-8pm in A Venue hall Makati! The cool thing about this event is it's not limited computer, arcade, console gamers but also for table top gamers and TCG gamers!!! Oh yeah cosplayers will be there too. See you there guys! 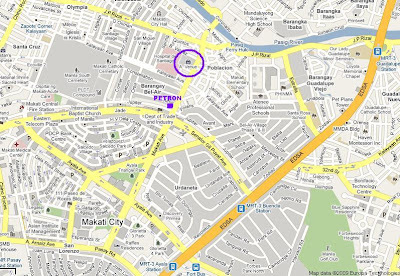 Above is the map going to the venue. I like the topic which has been discuss by you,i want to say thanks to you for sharing with me such a nice info.hpoe you'll soon give me more info regarding this topic,I'll waiting for that.